Run or walk 9 miles on July 22nd to honor the sacrifice and memory of LtCol Mario “Sugar Bear” Carazo. MCAF has partnered with the Sugar Bear Foundation to help raise awareness of gold star/surviving spouses and children of fallen United States military personnel, continuing Mario’s legacy of service. The first 300 registrants will receive an exclusive event pin. The registration fee is $25. 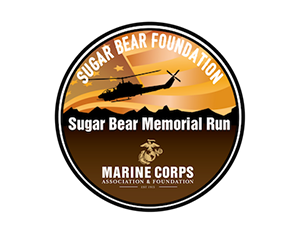 All proceeds support the Sugar Bear Foundation and MCAF’s programs for Marines!